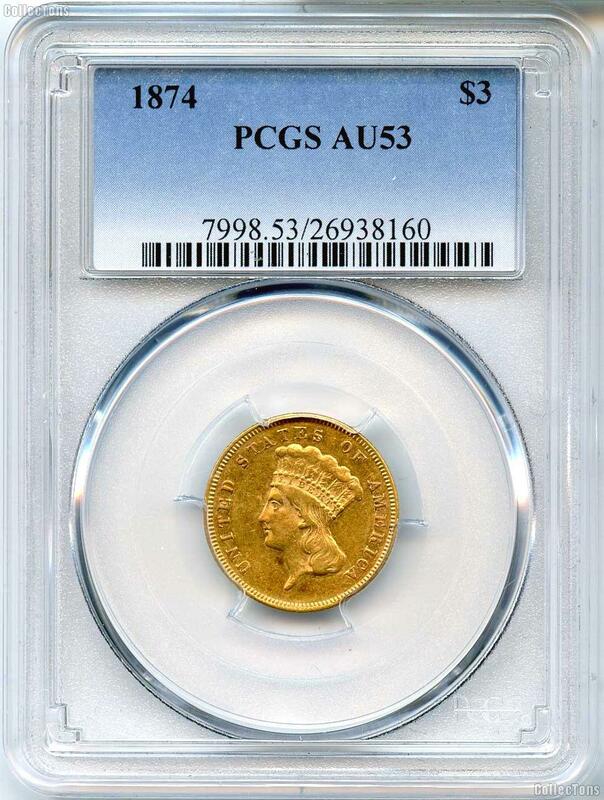 This listing is for a $3 Gold Indian Princess Head Dollar (1854-1889) graded and encapsulated as AU-53 by PCGS. 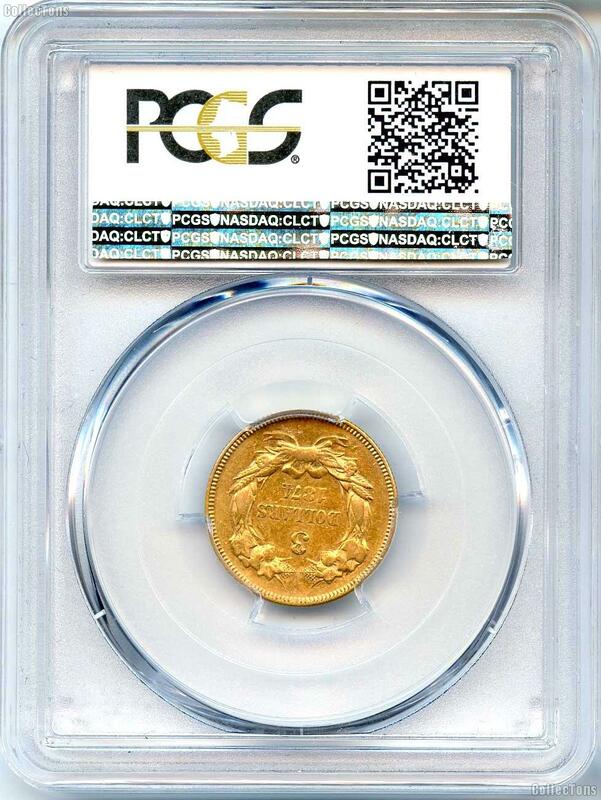 We have just purchased a nice group of these $3 Princess Gold Coins. 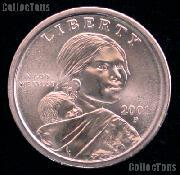 Don't miss your chance to own these rare certified Indian Head Gold Pieces!